The movement for "Medicare for All" is real, and it's winning. If health care is a right—and it is—the only honest response to the current crisis is the single-payer “Medicare for All” reform that would bring the United States in line with humane and responsible countries worldwide. It is unfortunate that Donald Trump, who once seemed to recognize the logic of single payer, has aligned himself with House Speaker Paul Ryan’s scheme to make health a privilege rather than a right—and to use a “reform” of the Affordable Care Act as a vehicle to reward wealthy campaign donors with tax cuts and sweetheart deals. The debate in Washington is so cruel and unusual that it is easy to imagine that the cause of single payer must be doomed in America. Not so. The movement for single payer is for real, and it’s winning in California. The state Senate voted 23 to 14 on Thursday in favor of SB 562, a single-payer proposal that would guarantee universal health care to all Californians. 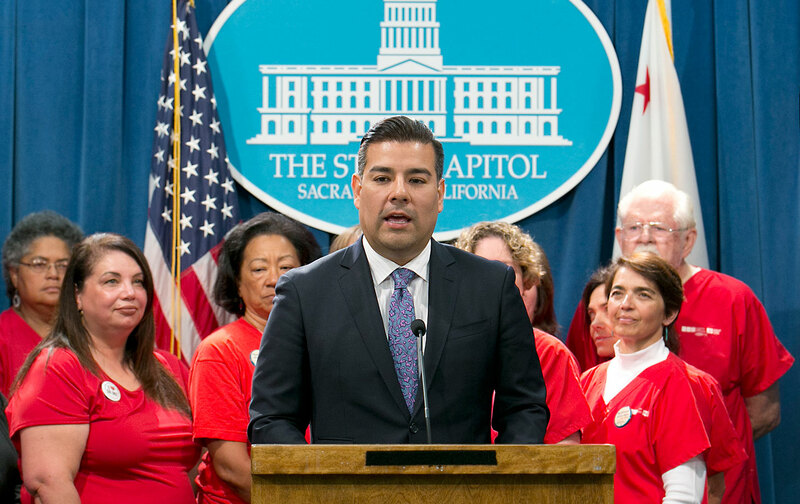 “What we did today was really approve the concept of a single-payer system in California,” declared state Senator Ricardo Lara, a key advocate for the bill, following the vote.